What? It’s 2018? How is that even possible???? Thank goodness some things never change, like kicking off the year with a huge women-only wine party. Come join us for our largest women-only event. 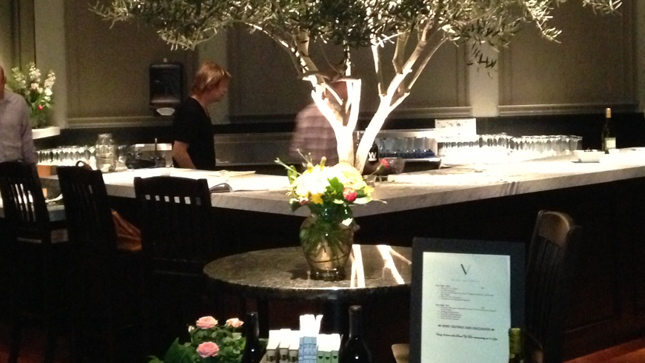 This year, we’ll be clinking glasses at V Wine Room in West Hollywood—a favorite location from a few years ago. Mix and mingle with some of LA’s hottest, brainiest women as you taste wines from around the world. Feel free to bring your lovely lady friends as well—the more the merrier. This year we are returning to V Wine Room in West Hollywood, and they'll be offering us a selection of a staggering 147 wines by the glass. They also have $15 flights where you'll be able to try a selection of 5 wines. And as always, we'll have a fun icebreaker to make sure you can meet everyone. We look forward to seeing you there! We expect over 100 women to attend. Each year it gets bigger and better. Organized by IvyQ and co-hosted by Ivy League Lesbians and Friends, LGLA, Stanford Pride, USC Lambda, University of Chicago LGBT Alumni, Brown TBGALA, Cal Alumni of Los Angeles, Harvard GSC, PennGALA, Emory GALA, FFR/Princeton BTGALA and Yale GALA, Inc.